Everyday life with the Jensen's: Family Pics! 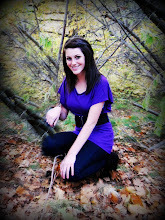 Well here is my family pics I did! They turned out not bad for doing yourself eh?! I don't have a good picture program yet so I couldn't fix them very much but I thought they looked cute! I ordered a bunch from shutterfly and they have a great program to fix and add borders to your pics. So I hope you all enjoy them. You will be getting this one in your Christmas card that I will be sending out soon. And to all of you who read my blog but leave no comment----YOU better start leaving some comments. I love to hear from you! Awesome! Becks. Very cute pictures. I really like your blog, did a great job. Larry looks like he healed up nicely, very good. I love you sis, tell everyone I said Hi. Cute pictures!!! I really like them, they turned out good! And your tree looks great too. 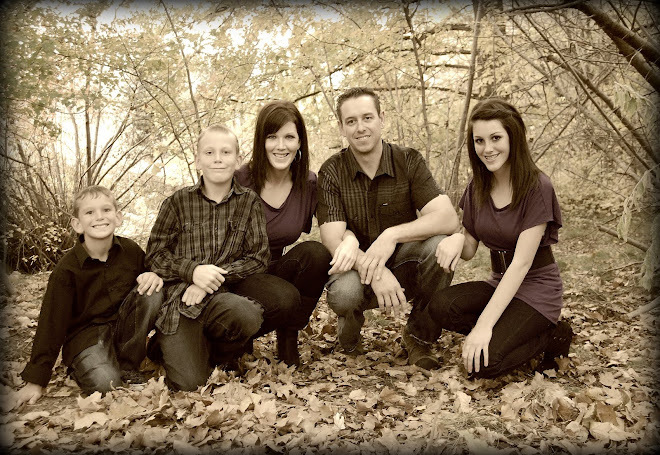 Hi Jensen's- Your family picture is wonderful ! Our family sure misses yours!! It looks like your family is doing a lot of fun activities. Larry we are all so happy you are healing and doing well. We love you family !